Game 1: Chicago at Cleveland Tuesday, October 25 at 8:00 p.m.
Game 2: Chicago at Cleveland Wednesday, October 26 at 8:00 p.m.
Game 3: Cleveland at Chicago Friday, October 28 at 8:00 p.m.
Game 4: Cleveland at Chicago Saturday, October 29 at 8:00 p.m.
Tonight the matchup that baseball fans have been hoping for all season begins, as the teams with the two longest World Series droughts square off in The Land. The Chicago Cubs have not won the World Series since 1908 and are making their first appearance in the Fall Classic since 1945. The Cleveland Indians look to win their first championship since 1948 as they return to the World Series for the first time since 1997. With two lengthy title droughts on the line, this year’s World Series is shaping up to be epic. The Indians jumped out to an early 2-0 lead in the ALCS thanks to terrific outings from starting pitchers, Corey Kluber and Josh Tomlin. In Game 3, starter Trevor Bauer attempted to pitch after slicing open his right pinkie while repairing his drone just days earlier. What followed was a scary scene, as Bauer’s stitches opened up and he was removed from the game after 21 pitches. Tribe skipper, Terry Francona showed why he is arguably the best manager in baseball by once again turning to his bullpen to carry his team to a 4-2 victory. The pen was led by Andrew Miller who went on to win the ALCS MVP with some crazy numbers. Miller allowed zero runs on three hits in 7 2/3 innings pitched with 14 strikeouts and no walks. In the NLCS, the Cubs found themselves down two games to one to the Los Angeles Dodgers after being shut down by Clayton Kershaw and Rich Hill. Chicago’s bats came alive outscoring the Dodgers 23-6 over the next three games to punch their ticket to their first World Series in seventy one years. The Indians are once again facing an offense that is red hot, but as they have shown so far this postseason they are more than capable of facing the challenge. The matchup to watch for in this series is Cleveland’s starting pitching against Chicago’s offense. Chicago’s powerful lineup got off to a slow start in the NLCS, but finally turned it around in Game 4. The Cubs responded to a 6-0 loss in Game 3 by drubbing the Dodgers 10-2 in the next game. First baseman, Anthony Rizzo was 1 for 11 in the first three games of the series until he hit a home run and two singles for 3 RBI’s in Game 4. Rizzo would go on to add two more RBI’s in the final two games of the series. Shortstop Addison Russell joined Rizzo in the scoring frenzy with 2 home runs and 4 RBI’s in Games 4 and 5. 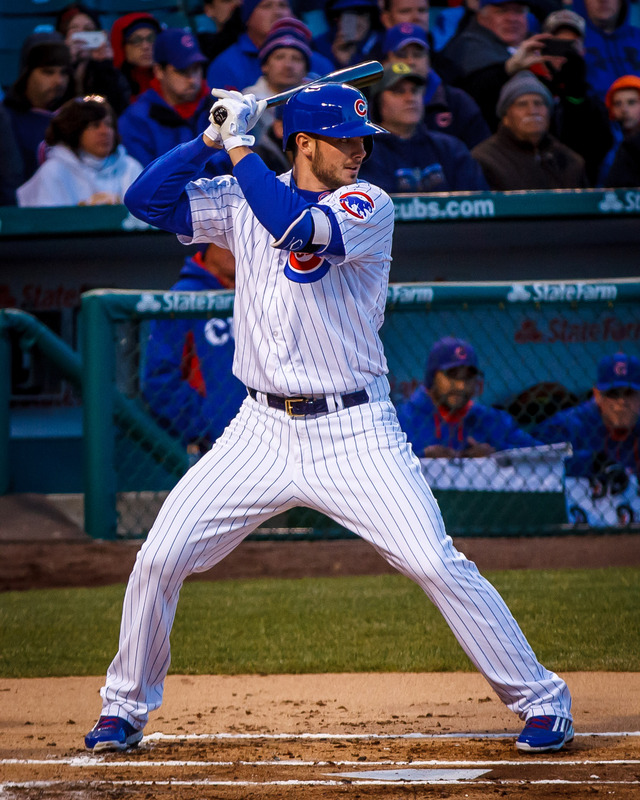 The Cubs ranked third in the majors in scoring this season with an average of 4.99 runs per game. The Indians have faced two explosive offenses in the Red Sox and Blue Jays so far this October and they will once again have their hands full with Chicago. The Indians will have their ace, Corey Kluber on the mound for Game 1 with Trevor Bauer and Josh Tomlin starting the next two games. The order that Bauer and Tomlin pitch depends on the status of Bauer’s pinkie. The Tribe will also have ALCS Game 5 hero, Ryan Merritt available to pitch as well as Danny Salazar who has been out since September 9 with a right forearm injury. 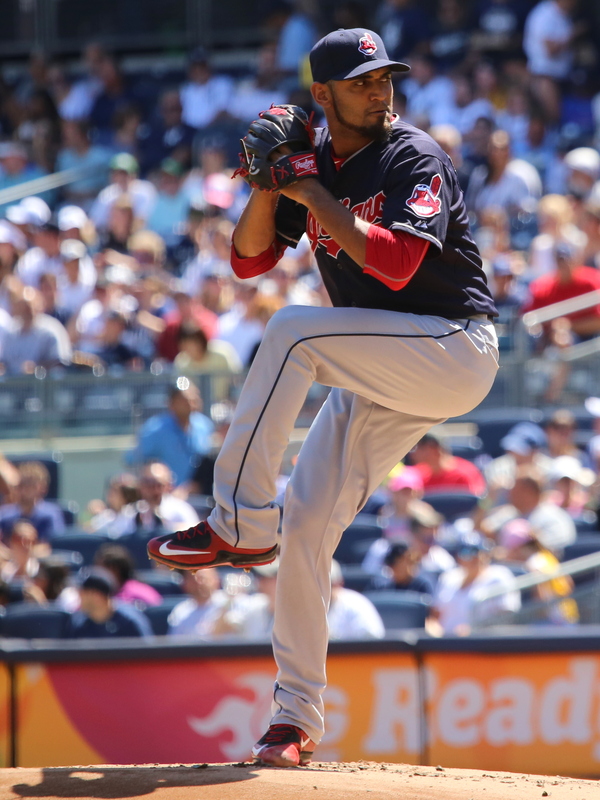 I believe that Salazar could be the “X Factor” in this series for Cleveland. He will obviously be on a pitch limit, but he could give the Indians a few solid innings of relief. The key for the Indians will be to get at least five innings out of their starters and then give way to their prolific bullpen. Seven of the eight teams to win the ALCS in 5 games have gone on to win the World Series (The Minnesota Twins in 1987 and 1991, Oakland Athletics in 1989, New York Yankees in 1996, Anaheim Angels in 2002, and the Chicago White Sox in 2005). The lone exception was the New York Yankees in 2001. The Indians and Cubs have gone a combined 176 years without a World Series title. The Cubs drought has lasted for 108 years. while the Indians last world title came 68 years ago. The Indians will win the World Series in seven games. The Tribe are the underdogs for the third time this postseason and it is evident that they like it that way. Francona’s team has thrived in this role and I expect them to do it again. There will be a lot of ups and downs in this series and it is important for Cleveland’s pitching staff to weather the storm of any offensive attacks from Chicago. 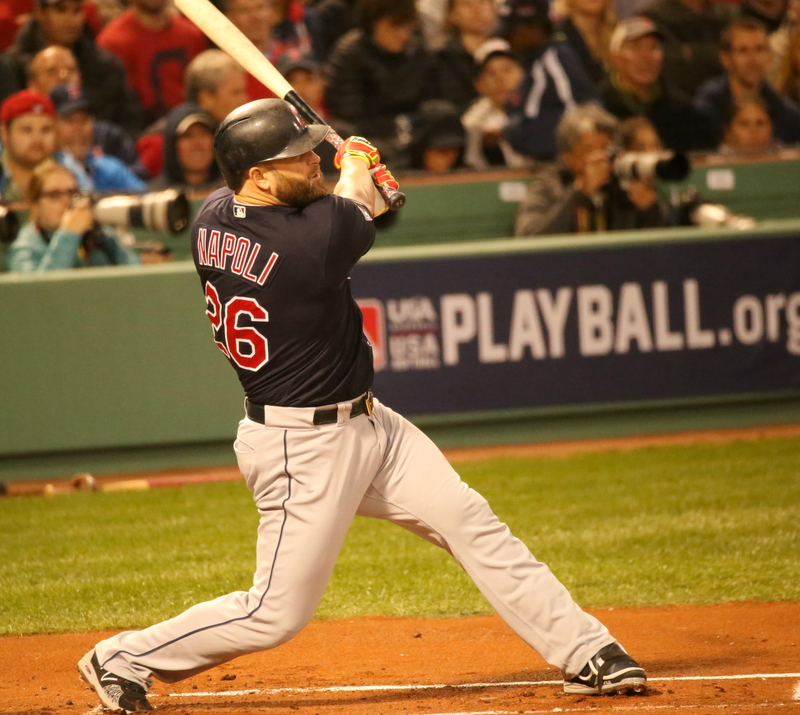 The Cubs have shown that they can put up a ton of runs in a hurry so the Indians will need significant contributions from sluggers Mike Napoli and Carlos Santana to add runs of their own. The Cubs have one of the best rotations in baseball with John Lester, Jake Arrieta, Kyle Hendricks, and John Lackey. Lester has allowed 72 stolen bases since the start of last season. The Indians led the American League in stolen bases so their ability to run the bases will be pivotal in this series. Just like the previous series, if the Indians can take the lead after 5 or 6 innings they can control the game with their bullpen. One team’s painful title drought is going to come to an end and I believe it will be the Indians. The Tribe have overcome every obstacle that has been in their way this year: injuries to Michael Brantley, Salazar and Carlos Carrasco and Bauer’s pinkie in Game 3. So what if the majority of the country is rooting for the Cubs to break one of the longest title droughts in American sports history, the Indians have used their doubters as fuel all year. The Tribe have been through too much to give in now and they are ready to bring home another title for Cleveland.